Whether your event strategy centers around clients, customers, marketing, fundraising, or even friends and family, it needs to make an impact. Our team at Glint Events specializes in understanding your event plans and budget so that we can bring your vision to life. While our services are comprehensive, we have an experienced team capable of much more. Glint Events is aWomen’s Business Enterprise National Council (WBENC) certified company. As the event grows near, we work with you to communicate the final details as well as the big picture game plan for the day or week of the event. When your event date arrives, we’re orchestrating everything so that you can be the host and focus on your business goals and objectives, maximizing the use of your time as well as your team’s. Often, companies have the resources to put the event together, but they lack the experience and relationships to do it right. 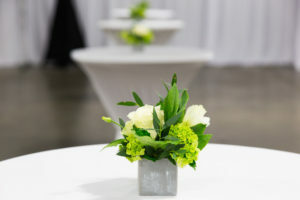 Let us guide your team through the planning process to ensure an your event is everything you envisioned - and then some!